Pure Macadamias, with just a few drops of our Macadamia oil added to this roast to assist the salt coverage of the kernel. Still a dry crisp finish and the added flavour of salt for those who prefer the simple tastes. This was the second flavour of Top Notch macadamias that we tried and once again they were consumed as a movie snack with a chilled glass of wine. I love Macadamia nuts and normally am a really big fan of them roasted or plain. I was expecting to find the roasted salted ones to have a nice salty taste to them but unfortunately I found them rather plain, to me the salt flavour didn&apos;t really stand out, I would have liked more salt on them. As it was, I didn&apos;t even find them as nice as plain macadamias. My partner who is also a big fan, also found them "lacking". We did finish the pack off in one sitting but to be honest it was more a case of "they were there". The only really positive thing I could comment on is the resealable bag. Possibly these would be nicer if used as an addition to muesli or maybe in baking so the light seasoning and resealable bag would be good in those circumstances. Given the price and my disappointment in the flavour, these aren&apos;t ones that I would buy in the future and this opinion is echoed by my partner. Wanting to watch what I eat and make healthier choices in my diet nuts and seeds have been something I have been increasing on a daily basis. It can be confusing however to know what are the best choices, which ones taste good and ways in which you can use them. Unfortunately I work in a childcare centre that is nut free, so all of my nut eating has to be done at home. 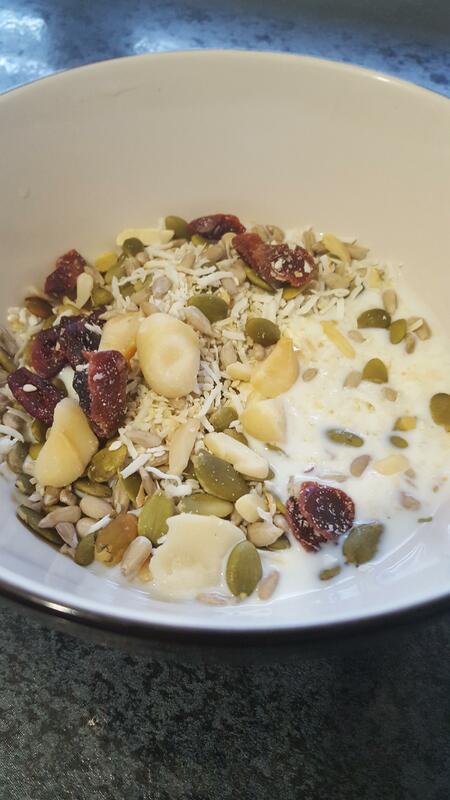 Because of this I have been experimenting with nut and seed muesli recipes that I can enjoy for breakfast. When I saw these roasted salted macadamia nuts I thought they would be perfect to try in one of my muesli recipes and requested a pack for review. When my latest review parcel arrived I was pleased to find a bag of macadamia goodness inside! I have been lucky to try two of the other products from Top Notch Macadamias but this one was a little different as it wasn&apos;t a strongly flavoured nut. I haven&apos;t actually eaten a macadamia nut plain before, so was interested to try one. Opening the bag (which is very easy to do thanks to two little notches in the sides of the bag) I was pleased to see that this bag was filled to the brim of macadamia nuts. I was also pleased to see that they weren&apos;t completely covered in salt, not like other salted nuts can be as salt isn&apos;t a favourite seasoning of mine. All of the macadamias are well formed, most are very similar in size too. Upon trying one I was hooked! There was very very little salt on them, so the flavour of the nut shone through. 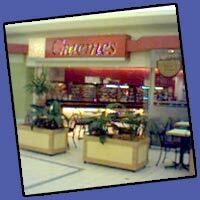 They were very pleasant and I found myself going back for more. Wanting to try them in my muesli I got out the container that I had made up the day before. I decided to cut some of the macadamia nuts smaller as they were quite large, and everything else in the muesli was smaller in size. I cut them up and mixed them through, ready for the next morning. Once breakfast time came around I served up one serving of the muesli, and then cut a few extra macadamia nuts to put on top. I added my milk and sat down to enjoy it. The macadamia nuts added an extra dimension to my muesli. 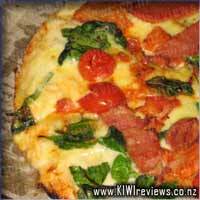 They were bigger and chunkier than the other ingredients, so they added extra crunch and a yummy flavour. I will definitely add them into my muesli in the future. I&apos;ve never been a huge macadamia person but having loved the sweet and salty version I was keen to try this version. What&apos;s great about this packaging is the fact that you can reseal it, perfect for when you don&apos;t use it all and key for not loosing the contents all over the kitchen floor. I tried these straight from the bag, and while they were of good quality, I did wish that there was more salt as I couldn&apos;t taste it at all. My nut lover did not like these at all and didn&apos;t want to finish her one, she was joined by one of my other children whilst my middle child did enjoy these and requested more and more. Since no one liked these straight, I decided to add some to a rice bubble slice I was making and the nuts were the perfect softness to go with the rest but were unfortunately overpowered by the tonne of marshmallows required for the dish. I then made a carrot cake for my mothers 60th birthday, the recipe called for walnuts however I used macadamia nuts instead. I liked these far more than walnuts, I felt it let the cinnamon flavour through more than the usual nutty taste I get. 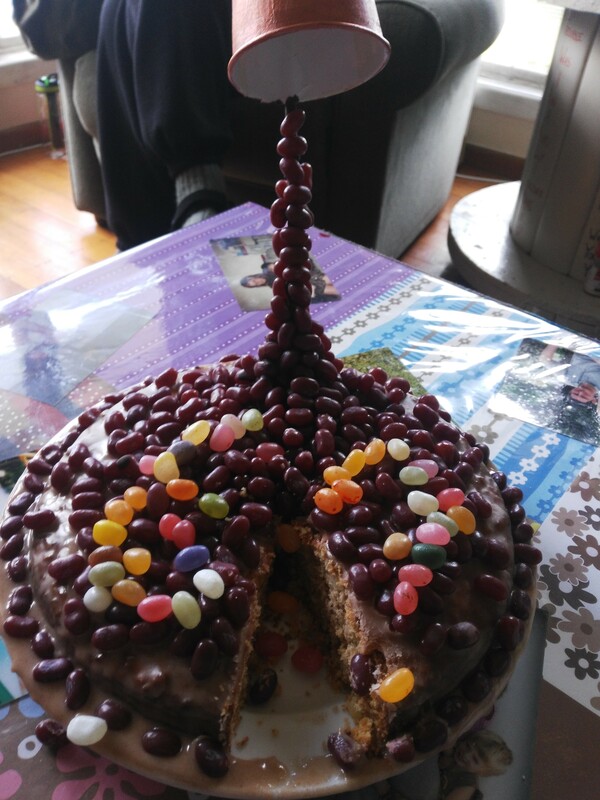 The cake went down a treat and everyone (ranging from 6 to 89 in age) agreed that the macadamias were the perfect inclusion. On their own, I won&apos;t be getting these again, but for an extra special cake I sure will. Because of increasingly sensitive and brittle teeth, I have gone off &apos;hard nuts&apos; such as these in recent years. They can be quite uncomfortable to eat for me, so I tend to gnaw at them with my front teeth, shaving them down into finer particles that I can then swallow easily yet still get all the flavour. Still, it seemed a shame to just eat these as-is without at least trying to do something with them. With a recent recurrent-urge to experiment with hand-made chocolates, I decided that one thing I could do would be &apos;choc-dipped macadamias&apos; by coating them in a blend of milk chocolate and a hint of cinnamon oil. The resulting nuts were pretty good, but a second batch using only dark chocolate, no cinnamon, turned out to be exactly the right mix for my tastes. Partnering these up in a little gift box with some dark choc cups filled with home-made lemon and mandarin curd, was a welcomely received present for a neighbour who has recently been helping me out with a few bags of lemons from her tree. The nuts, on their own, are very nice, but the flavour is nothing special, to be honest. 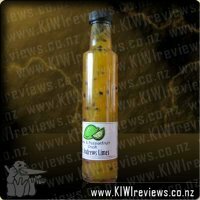 It&apos;s a typical macadamia flavour which will appear to those who really appreciate that, but for those without that preference, they will seem to be overpriced when compared to other options available. That said, you must keep in mind that macadamia nuts are one of the most labour-intensive nut crops on the market, and can take years to go from tree to table. Even a small variation in timing or environmental factors can ruin an entire crop. That&apos;s why they are so expensive - the time and labour input for each crop is huge. Overall, while these won&apos;t be something I buy very often, I would certainly consider them a worthwhile purchase for a special gift to a fan of tree-nuts. 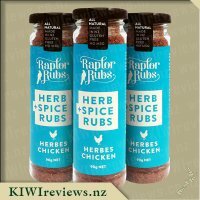 For making into something else, they are the perfect and only choice for me, as I know the quality is second to none, and they are a 100% Kiwi product - I&apos;m all about supporting Kiwi enterprise! 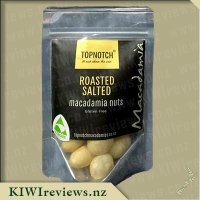 Top Notch Macadamia Nuts - Roasted Salted were a delight to open and enjoy. They were fresh and had the crisp crunch of a nut that hasn&apos;t long been out of it&apos;s shell. I was delighted, as often packaged nuts are a bit soft and you can tell they have turned a little rancid in the time delay between processing and eating. That amount of salt was perfect and they had a slight sweetness to them. We are a family of growing children and sporty adults so like a healthy energy burst through our day. The packaging is perfect - it tells me all I need to know and evidences with the little window that the macadamia nuts are whole, not broken and the lack of a huge list of ingredients on the back evidences that they are simply and non-complicated with preservatives, etc. The little green NZ Grown Kiwi label makes it clear that I am eating and supporting NZ made. The package is re-sealable and I love this as it can be taken on picnics or put in the car for long trips and keeps the nuts fresh. The cost at $12 per bag is acceptable. I say this because macadamia nuts are a special treat in this house and I love to buy them when we are entertaining to put on platters, or if the children love them to add into lunchboxes as a healthy option energy provider. Topnotch Nuts is certainly a product I will look out for and purchase for myself and as gifts for others. I have always loved macadamia nuts and think the current trend to combine with chocolate takes away from the true macadamia flavour. I see macadamias as a food you give (and hopefully receive) as a gift due to it&apos;s cost. It certainly isn&apos;t an everyday food. When I was offered Top Notch Macadamias to review I opted for the roasted salted variety to remind me of the treat my Australian grandfather would bring over to us in New Zealand when he came to visit. The ingredients are simple: macadamia nuts, macadamia oil and salt. From the window in the packaging you can see they a big pearly white nuts. I was surprised to find the nuts are New Zealand grown in the Hauraki Plains. 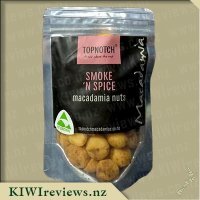 Their website also shows lots of other macadamia products they sell too. They have something for everyone&apos;s tastes. I introduced my 7 and 9 year old daughters to macadamia nuts for the first time with this packet. They loved them which means another indulgence of mine I&apos;ll have to hide extra well. These were as the brand suggests a top quality product. The nuts were all very tasty and crisp. We didn&apos;t find them oily or too salty. The packet was gone too soon, There was however salt and nut crumbs at the bottom of the packet that my salt loving husband would have enjoyed. I would be happy to buy these again especially for the males in my life that I always struggle to buy for. These would make a great addition a gift basket. The comments that followed straight after my girls put them in their mouth were &apos;gross&apos; and &apos;yuck&apos; and &apos;I prefer the licorice&apos;. Whereas my husband was grabbing a couple at a time saying &apos;delicious&apos;. I have to confess we are not usually Macadamia Nut eaters unless it is in the shape of a biscuit along with white chocolate or raisins and have never tried them alone before, so I guess we were all ill prepared for what they were going to taste like. The bag was rather plain for my liking and I am not sure how it would stand out stacked against other packets in the supermarket. I don&apos;t find the yellow is as bright as it could of been. However, I do like that is has the bottom window that shows the Macadamia Nuts off. 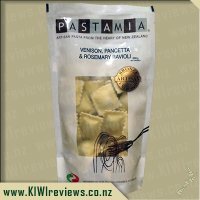 I was also surprised it did not offer a lot of information on the packet besides being Gluten Free and its made in NZ then Nutrition Information. I personally like reading more information on packets especially when it is made in this country. I actually find the price is really expensive. I look after the Bulk Bins at Countdown Supermarkets and I thought our price was rather dire. We carry three products in the Macadamia range Honey, Raw and Roasted Salted. Out of all the nuts we carry Macadamia is one of the slowest range to sell but the Roasted Salted variety definitely is the fastest seller. I personally like my nuts covered in salt so when you finish eating there is that nice salty after taste and on occasions you find some evidence of it under your finger nails. I did not find that with these. It had a nice light covering but I found it disappeared to fast. The Macadamia was nice and fresh and crisp but I also found it rather dry, but then I don&apos;t eat Macadamia&apos;s alone so was unsure what to expect. I figured since this being the case the fairest thing to do was to make the biscuit that we all love. We cut them in half, which on occasions was not easy but the girls had great fun in trying. Added some white chocolate and raisins and after thirty minutes we were all fighting over the last biscuit with everyone loving them. Definitely a hit when put in with a biscuit. I am truly grateful for Topnotch and Kr for letting me sample these but honestly, unless we had to do a whole lot of baking, I don&apos;t think we will be buying them again. Whereas my husband preferred eating them straight from the packet, the girls and I preferred them mixed in with other ingredients and then eating them. Sorry but not my top nut. Macadamias are a favourite in our household and have been for as long as I can remember. Having them fresh off the tree is amazing... except for all the hard work trying to get these tasty morsels out of the shell while ideally still keeping them whole along with being able to crack open enough of them to actually enjoy a snack rather than get frustrated at the process and give up. It is therefore needless to say that simply opening a bag of these delicious morsels was an utter treat in itself! The fact that Top Notch has somehow managed to keep these nuts so fresh and crunchy so that they seem like you&apos;ve just opened them is a massive credit to the company!! I have tried many, many brands of Macadamias before and to be honest am always quite disappointed - yes they always taste ok/nice but they simply do not have the texture of a fresh nut. Top Notch keep up the wonderful work as you really are top notch and I will without a doubt be purchasing your product again as well as recommending to everyone I know. 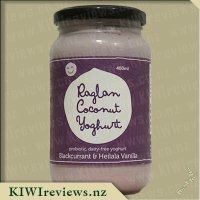 The packaging of this product is simple and standout, so much so that if you were to see it on the supermarket shelf or at a local market you would immediately recognise it and I love this fact. 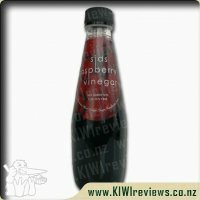 There is nothing more annoying that finding a product you love and then not being able to re-find it due to the packaging being so similar to ten others out there on the market. I have to say that I totally hate the price of Macadamias however this is across the board and not something that rates this product any less or the company because compared to every other brand I buy the price is inline and the product is better. Along with just eating this product as is and enjoying it *trying hard to not eat the entire bag in one go* I knew that I just had to give it the official test in our house and use it in baking. 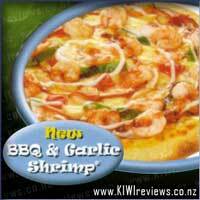 Yet again this product came out tops and has proved to be better than other brands I have tried in this same recipe. Macadamia Blondies are a firm favourite and with the delicious mix of brownie mix, macadamia&apos;s and chocolate I bet everyone can understand why! What I loved the most was that these nuts had just the right amount of salt added to off set the sweetness of this recipe. Also the fact that these nuts are kept so fresh has meant that even once baked in the recipe mix they are still kept fresher and crisper than others brands I&apos;ve used. If you love macadamias then you really must try this product! I promise you will not regret it! 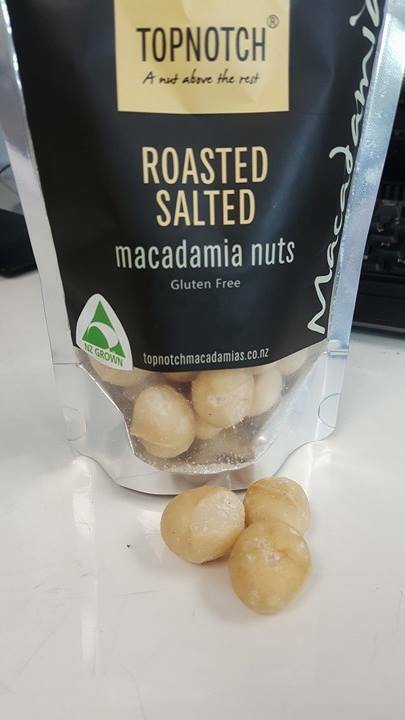 Having not been overly excited by the texture and crunch of the Sweet and Salty version of the Top Notch Macadamia&apos;s I was not setting my hopes high for the Roasted Salted version, but thankfully this product delivered what I would expect of a high quality, more boutique, type of Macadamia product. These had a beautiful crunch and texture to them with the saltiness being just right and not overpowering as many can be; while a really lovely nut on it&apos;s own there was only really one true test in my household to check to see if it would be a winner - baked goods; yes biscuits and slices normally whipped up with the good old fashioned almond. After 2 hours of baking chaos with my 4 year old son "helping", and ending up covered in more flour than went into the baking itself, we had old fashioned choc nut cookies and a Paleo fruit & nut slice ready to be attacked and these Macadamia nuts absolutely did both recipes justice. The absolute pleasure was not just from the crunch of the nut BUT the salty notes that came through with each bite; it really turned these into sweet & salty goodness - we all know salt and chocolate are complimentary and I have to say for me these were just the perfect compliment to these morsels. Will I buy again, on occasion absolutely. The are pricey for what you get but it is a quality product I will use for special occasions. Yum. At last - a macadamia that you can eat without an endless struggle to extract the nut from the shell! I have a nutcracker, a hammer, and even a special mini- vice made specially for macadamia extraction. And incipient RSI in my hand because of the effort to get to that nut, sometimes whole, but more often than not reduced to lumps and even crumbs. The relative ease of opening a plastic bag is such a relief. No contest! I was on my own when I first opened the bag, and I had to control the urge to down the lot: they are seriously delicious, being wonderfully fresh and crisp. There is not too much salt on them - just enough to bring out the flavour - and they lend themselves to all sorts of possibilities. I was off to one of those workplace bring-a-plate sessions, the sort where I can never think of what to supply, so I decided to put the macadamias to work. I made up two plates, each with a selection of items I already had on hand. 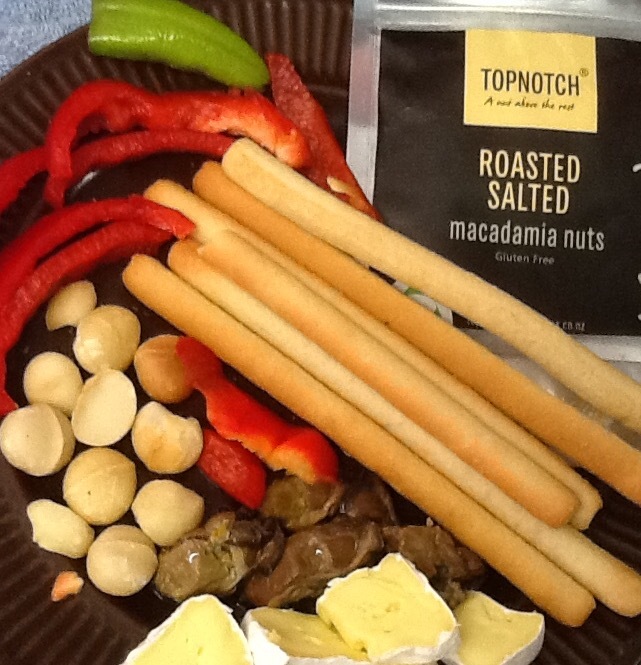 Apart from a serving of macadamias, I added grissini, camembert chunks, capsicum, chili pepper, and some smoked oysters. It took me less than five minutes to put together but it was cheerful and was a good way to introduce the nuts. The reactions were really positive. Everyone commented on them and one person asked how I managed to get the nuts out whole as she always manages to pulverise hers. I was tempted to tell her a lie, but I had to be honest and admit that the nuts were prepacked and had come ready salted. Everyone was impressed and I saw that the nuts were the first item to disappear. The only negative I got was from one young mother whose toddler eats anything and everything, the grosser the better, and she was concerned about the possibility of his trying one and choking. However, that could apply to any hard food - I was going to suggest that nuts should be locked away from very small children anyway, but someone else beat me to it. But on the taste and texture front, the comments were all in favour - even where the price was concerned as everyone was aware that macadamias are not a cheap item. Next time I am cooking rice I am going to try stirring some in just before serving. I have had other nuts done in this way and they are pretty good, but have never tried the rice-macadamia combination. I am sure it will be delicious served with a curry dish. So altogether, a big thumbs-up for this product. KIWIreviews really made my day when I saw two packets of macadamia nuts in the goodie box I was sent. One was the Topnotch Sweet &apos;N Salty and the other was the Roasted Salted. Macadamia nuts are my secret weakness when it comes to food. Ever since I was a young child I would quite happily sit and demolish handful after handful of macadamias. Macadamia nuts are usually pretty expensive but I feel they are worth it. 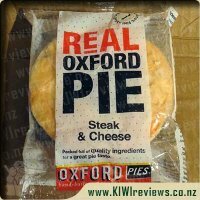 I would be happy to pay the $12 for this 150g packet as they are simply scrumptious. Most of the macadamias I have tasted have been grown in Australia, so I was pleasantly surprised to see on the front of the packet that these are NZ grown. The packaging is simple and effective at catching your attention. The first thing I noticed was the silver packet and the large black label with the brand name and flavour. The packet has a resealable top for freshness if for some reason you do not devour them all at once like I did. My first taste and I loved how fresh the macadamia nut tasted. The nuts were just the right amount of roasted, not underdone and not overcooked. The amount of salt on them was a nice light coating and didn&apos;t leave a strong aftertaste. I found that after my first taste I was hooked and had to have more and was eagerly waiting to try the other flavour. I highly recommend these to all nut lovers. They would be very versatile whether eating by themselves, used in baking or in a meal. The price is worth it and being NZ grown is fantastic. If you love Macadamia Nuts that are slightly salted and taste delicious then these are the nuts for you! TopNotch nuts come in a resealable bag with a small window at the front so you can see what you are getting. They are also NZ grown which is an added bonus! The 150 g bag has a recommend 2 servings per pack. 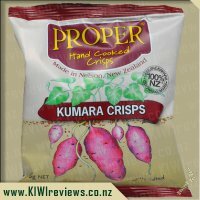 They contain simply good sized, roasted, macadamia nuts, macadamia oil and salt. I found that the amount of salt was perfect and not overly salty which some nuts tend to be which allowed you to enjoy and taste the macadamia nut. I let my family try them and they were all impressed, my girls in particular were keen to get their hands on more! Although these tasty nuts are particularly moreish and are difficult to put down once opened, the resealable bag means they are handy to pop in your bag to have as a convenient snack. 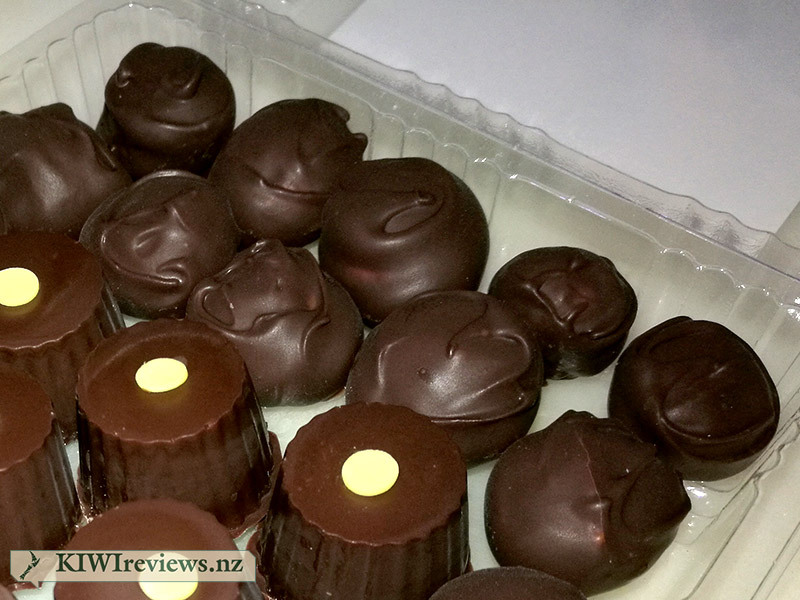 They are a little pricey but macadamia nuts are not cheap and you can really taste that you are getting a quality product so I would definitely say that they are worth the money. 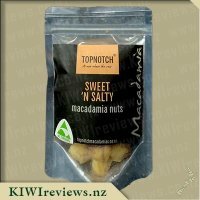 Although I really, really enjoyed these, I have to say that I personally preferred TopNotch&apos;s Sweet &apos;n&apos; Salty macadamia nuts as they were extra delicious and catered to my sweet tooth! Saying that, for a savoury luxury treat, these will definitely be on my shopping list! 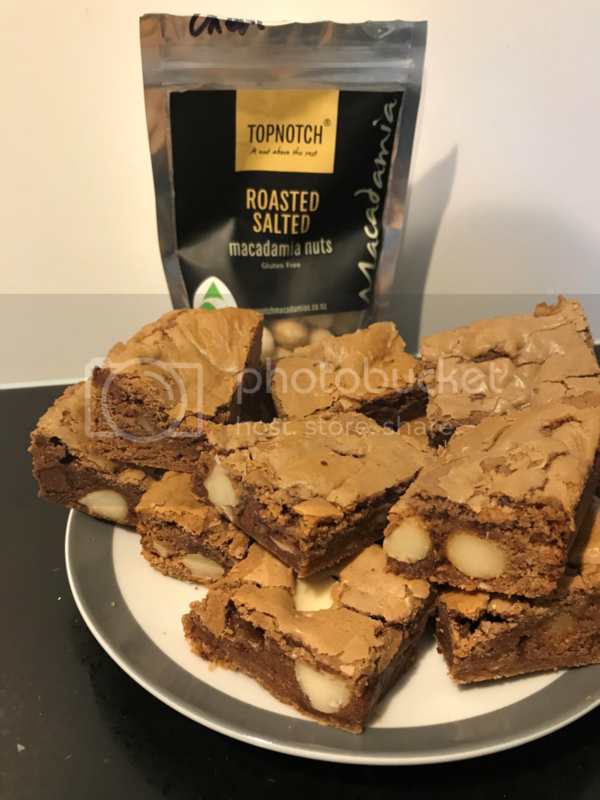 As silly as this may sound macadamias are not a type of nut that I have really eaten before, until now when I received 3 amazingly delicious varieties of macadamia nuts from Topnotch to review, and I can definitely say that these nuts certainly are Topnotch! The first of the macadamia nuts I decided to try were the roasted salted variety. I loved that the packaging consisted of a resealable bag and even more so the clear panel at the bottom of the pack in which you can see the product you are getting. I was impressed to see that the nuts were of a uniform size and that most of the nuts were in a whole form with only about 5 or 6 in the whole packet being in halves. The back of the packaging contains nutritional information, and I must admit that I found the 2 serves per pack to be very generous indeed, so much so that I found myself eating them over about 4 servings as they were rather filling. These macadamias had a lovely rich, nutty roasted flavour to them and were very lightly salted which I liked as often salted nuts can be way too salty! Interestingly enough the nuts are actually roasted in a macadamia nut oil, which is important to note as it means that they are not cross contaminated with various other nuts Due to the light salt on them it makes these nuts very versatile indeed and I have enjoyed adding them roughly chopped to my muesli in the morning for an extra crunch and also have used them in a caramel and macadamia nut slice in which they tasted amazing! I really can think of a lot of other ways in which these nuts would be the perfect accompaniment such as in stir fries, salads and other baked dishes, that said it would be hard to make them last that long in my house as it turns out my partner rather likes macadamias I have found! Topnotch I think you have me hooked I will definitely be buying more of these as they are so delicious tasting! I have recently taken on a mostly gluten and lactose free diet and it is always those late night cravings after dinner that get me or those between breakfast and lunch on the run hunger pains. Having goodies on hand that are gluten free and can just be nibbled on without having to cook are so handy. A lot of my old go to&apos;s are no longer appropriate so my pantry has had to have a complete overhaul in the last few months. I have always enjoyed roasted nuts and macadamias have to be one of my favorite nuts they are often very expensive and come in a mix with other nuts so I would have to sit and pick out the macadamia&apos;s and find that the mix bags only have a handful of them. While I enjoy almonds and brazil nuts it is disappointing to find only a few of the best. I have a friend with a macadamia tree and I have attempted drying them out and cracking them open myself but omigosh cracking open a macadamia shell is like trying to get blood out of a stone. I think I ended up having to get a vice from the tool shed and twisting and twirling until the shell cracked often ending up breaking the nuts in the process a lot of hard work for a few nuts even though they are very nice nuts. 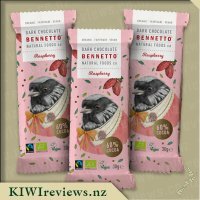 These are perfect for me all the hard work has been done and they are so full of flavour the packet was perfect to fit in my handbag and as it resealed I enjoyed them as a snack while I was waiting fr my son who was in surgery. I would definitely buy them again as they are a great and handy snack for me and keep me going when I need that snack between meals. Top Notch Macadamias Roasted Salted nuts are what I would call little balls of goodness. These are perfect for a quick snack when starting to fade a little during the day. I find these are great for that 3pm snack when you are in between meals and starting to feel a little peckish. I love how these roasted salted macadamia nuts are prefect in flavour not to over powering or plain either. I did hide these from my son and did not want to share with others as I thought these are just too yummy to share with anyone else. As greedy as that sounds I do not feel bad about it either as I know if I had of let my son try them he would have eaten them up within minutes and it is not often I get a yummy treat to myself. I love the packaging and the clear section on the package so you can see the macadamia nuts. I find these macadamia nuts of a good size and I do not feel like they are small portions or sizes. For the price it is a little bit of a luxury treat but well worth it if you can afford it. 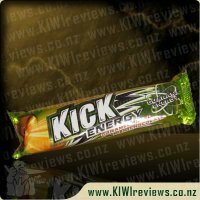 I was not disappointed with my packet and if I had of brought them at a shop I would have been happy with the overall taste and macadamia nut experience. I would recommend these to friends and family who I know enjoy their macadamia nuts. I prefer the flavoured ones a little more so then the plain ones but the plain ones I find are great for that mild snack you crave without the added flavours. I find I can eat more of these at one time compared to the flavoured ones. Overall a delicious treat and a yummy packet of goodness which I am extremely happy I got to enjoy and review them. I have spent many years of my childhood sitting in the backyard cracking open macadamia nuts from our tree with a rock; they have always been that little snack that worth the extra little bit of effort to get. This product is as simple as it can get, roasted macadamia nuts, with some macadamia oil, and salt. But the simplicity is key to its appeal. Not overly salted, the flavour is very much the subtle roasted nutty taste. The macadamias do vary in natural flavour as would be expected, with some a much sweeter taste, but generally the flavour is much more subdued. The nuts are in general whole, (unlike when you smash one open with a rock) so you end up with less of a surface area to volume ratio with respects to the salt/oil combo; less added flavour per nut. As a lover of salted products one would assume that I would prefer a stronger flavour, but I&apos;m also trying to eat healthier, so I prefer to have an option with less calories (with around 562 calories per serving, which is also a realistic serving of half the pack, it&apos;s almost half the calories of the &apos;Smoke &apos;n Spice&apos; variety). As well as a good sized portion size being recommended (I hate when companies try to make something found healthier by reducing the serving size to "5 pieces"), the product itself is rather filling. I ended up only having a couple at a time, as they take a while to chew compared to other nuts that turn to mush when eaten, so the one serving actually ended up taking a couple of hours to eat. The packaging is simple, with a resealable plastic foil bag, so there is no pressure to consume the entire batch in one go. Price-wise, the product is rather expensive per weight, but at the same time nuts have always been expensive, so it is on par with other similar products. Not an every day item for the shopping list, but definitely a good addition to the luxury items. Single origin Ecuadorian, 60% organic chocolate with organic freeze dried raspberry pieces. That&apos;s all!